We have a great team of people working at LVP to ensure public service volunteers get the best support we can offer and to ensure any problems can be quickly resolved. 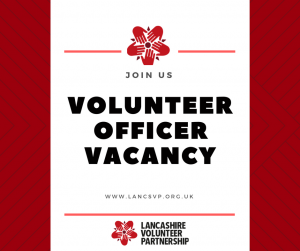 We have LVP representatives across Lancashire working to ensure public service volunteers are supported in delivering a quality service to the communities we serve. We are looking for the best people to work for us — people who are passionate about volunteering and who can demonstrate empathy and compassion. Please note applications close on 18th March 2018.